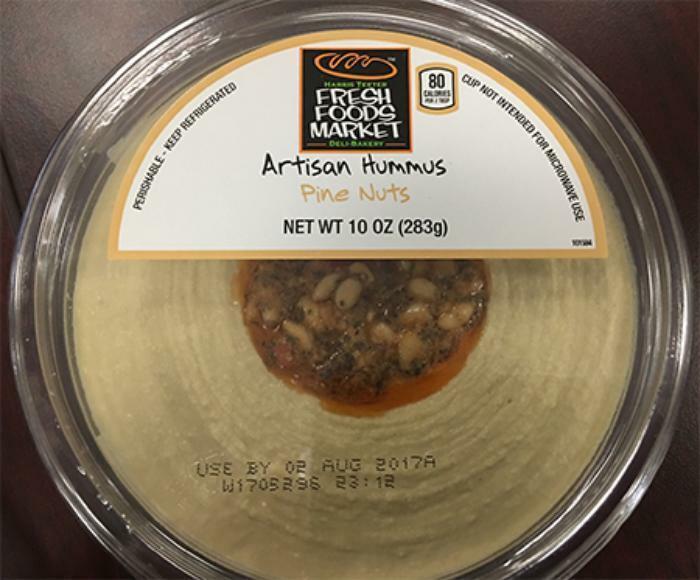 House of Thaller of Knoxville Tenn., is recalling selected packages of Hummus with Pine Nut Topping. The lot code, printed on the top of the cup, begins with a “USE BY” date followed by the letter “W” and a 7 digit code. Customers who purchased the recalled products should not consume them and contact House of Thaller customer service center at at 855-215-5142, Monday thru Friday, 8 a.m. to 8 p.m. (CST).